ISLAMABAD: Indian cricketer-turned-politician Navjot Singh Sidhu departed for India from Islamabad airport on Sunday morning. Pakistan Tehreek-e-Insaf (PTI) senator Faisal Javed and other party leaders saw him off at the airport. 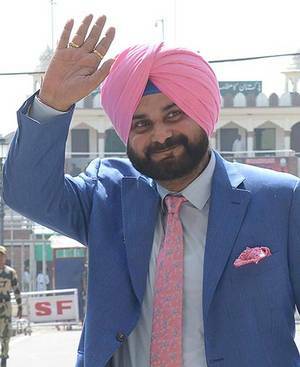 Sidhu had come to Pakistan to attend the oath-taking ceremony of newly-elected Prime Minister Imran Khan. The PTI chief assumed the office of the chief executive of the country after taking oath at an impressive ceremony at President House on Saturday morning. Speaking to media a day earlier, the former Indian cricketer said he would urge the Indian government to take one step [towards normalising ties] and Prime Minister Imran Khan will take two. He appreciated the army chief for lending his support to peace overtures between the two countries. “I am returning home with memories which I will never forget,” he told reporters.